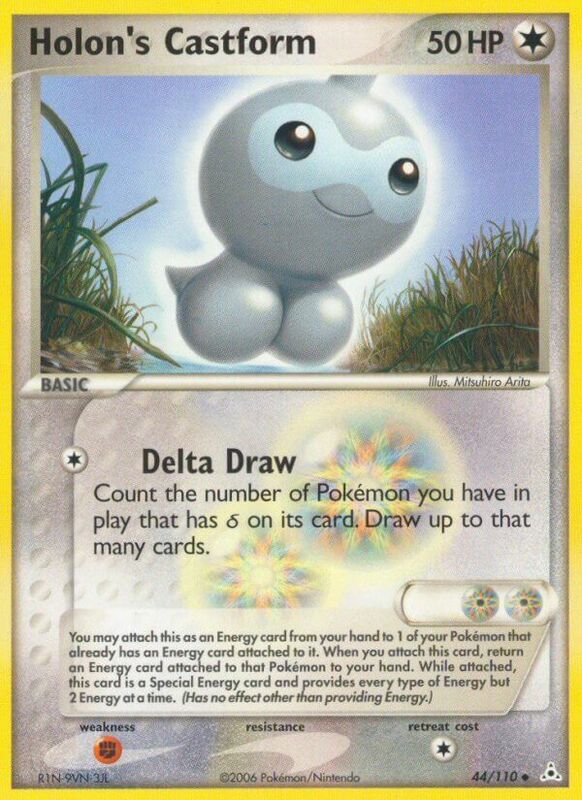 Count the number of Pokémon you have in play that has δ on its card. Draw up to that many cards. Why would one play this over Holon’s Electrode if you can start with this? Easier to search for. Holon’s Mentor let you grab 3 Basic Pokemon and there wasn’t as much evolution searching. Plus some decks actually used Delta Draw to set up. Holon’s Castform is probably my favorite starter ever. Once you’re done with it as a starter you can use the rest of them as energy instead of being a worthless draw. Plus, being able to draw up to 5 extra cards every turn while setting up is very nice.